Paddle Flatts Kayaking will be offering kayak instruction (kayaks provided) on Saturdays Jan 9th, Jan 23rd and March 5th from 5:00-6:00pm in the Main Pool. Limited space so please reserve your spot. $12 per person register in advance. Call for more information. Youth can try kayaking in a controlled and safe environment. Sessions are held in the YMCA lap pool and last 1 1/2 hours. Kids will lean boating safety, how to hold and use a kayak paddle, and safely entering and exiting a kayak. Then they will spend about an hour furthering their kayaking skills through fun races, games, and playtime set to the beat of energetic music. Bring your own kayaks on the second and fourth Saturdays of the month, 4:45 to 6:00pm $5 for members, $10 for program members. Instruction on rolling and basic skills provided by a certified instructor. If you have not registered in advance, you must arrive before 4:30pm to sign up and pay. 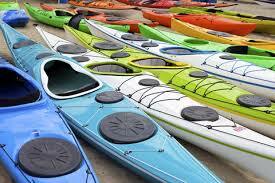 A few extra kayaks will be available, call for more information.